So you’ve had a cyber attack. Whether or not you prepared for it, now you find yourself needing to take action and respond to it. It’s quite possible that you weren’t even aware of the cyber attack immediately, or for some time after. It can take companies around 200 days on average to even notice a data breach or attack. This highlights the importance of understanding what constitutes a cyber attack, so you know how to identify them, and of course respond to them. A cyber attack is a deliberate exploitation of a computer system or network. They use malicious code to exploit a vulnerability in the system, often executing a command that leads to a disruption in the natural sequence of events. This usually leads to compromised data, which can be used for any number of cyber crimes. 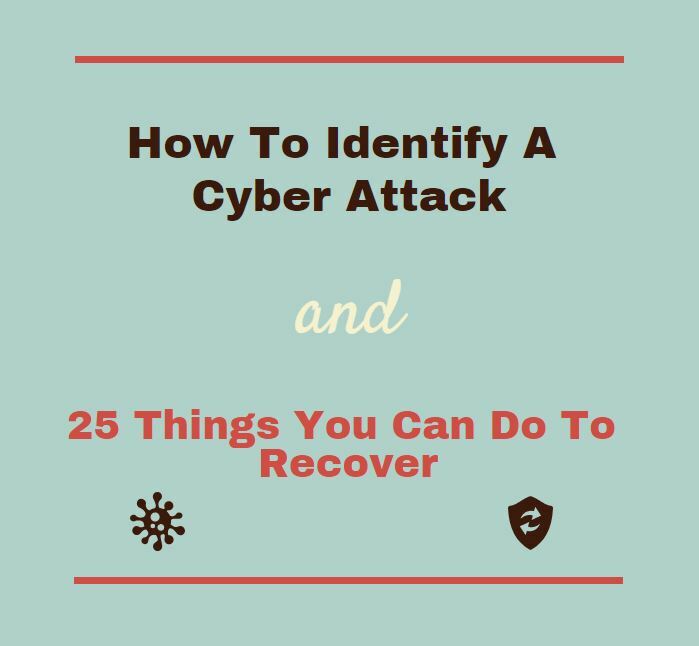 A cyber attack could end up with any number of results that affect you negatively. Some examples include identity theft, fraud, ransomware/extortion, DDoS, stolen data, malware attacks, IP theft, website defacement and more. Who Is At Risk Of A Cyber Attack And Why? More than anyone else, small businesses need to be wary of cyber attacks. Small businesses present a tantalising target for attackers for a few reasons. Small businesses are less likely to have stringent security measures, and are therefore easier to infiltrate and exploit. In addition, they often don’t have the means to defend or recover from an attack easily, so they’ll cough up the dough in a ransomware attack, just to get through it. The cost of a data breach is significantly more than most realise, and the financial hit is a huge one that many small businesses may not recover from. So prevention is the best cure. Attackers are looking for two factors; ease of access and potential reward. Small businesses often check that first box with minimal cyber security measures, and depending on the type of business, the data on board may be ultra juicy and worth quite a bit financially. They may sell the information to other malicious parties, or hold the data hostage for a significant ransom. Don’t make it easy for them! Your email was hacked/compromised and used to access another account. Some examples of online storage accounts include DropBox, Google Drive, OneDrive or iCloud. Contacts are receiving emails with files/links to open. 1. If you still have access to the account, immediately change your password to something more secure. A tip for creating a secure (yet memorable) password, is to create a phrase or selection of random words together. Something like Grass Silver Calculator Seven is a random combination of words that is simple enough to remember but difficult to guess. Google has a good guide here for creating a strong password. 2. Update your recovery contact information. 3. Advise your email contacts so they know to question suspicious emails. Just a tip — best to do it in another medium other than email so they don’t get mixed up with the suspicious emails! Contact your contacts by phone, or even put out a social media blast. 6. Any other accounts with the same password should also be updated. Use the site Have I Been Pwned to see if your password has been compromised, or here for any compromised email addresses. 7. Enable multi-factor authentication. Services like Gmail already offer this. 8. Perform a security scan for malware. 9. If you haven’t already, implement the ‘essential eight’ as laid out by the ACSC. The ‘essential eight’ is easy to remember and an effective list of strategies you can use to reduce your risk of attack. We’ve given an overview of these steps here in an easy-to-read format. These are a must do regardless of if you have had a cyber attack. 10. Do not engage the blackmailer. Some great steps to take when confronted with cyber blackmail. 11. Notify ACORN of the cyber attack. ACORN (Australian Cybercrime Online Reporting Network) is the Australian resource and body for reporting any cyber attacks you may experience. ACORN will evaluate your crime report, and can direct your case to relevant law enforcement. 14. Notify the OAIC if you need to comply with the NDBS after a cyber attack. Understanding what constitutes a NDB and do you have to comply? 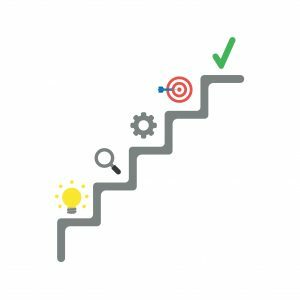 If you don’t have a business continuity plan, make one now. 17. Restore from a back-up. Schedule regular backups for your system and keep them stored safely. 19. Call IT security professionals for specialised assistance. 20. Refresh your cyber security training for yourself and your team. 21. Review monitoring systems to identify and understand how the threat entered. 22. Document the process from identification, to containment and recovery. This provides valuable learning information for future events and can be used to improve your Business Continuity Plan. Take note of how the threat entered, how it was managed and what can be done better next time. 23. Consider employing an IT company to perform network monitoring and manage your cyber security. 24. Report the Cyber Security Incident to ACSC. 25. Report the scam to ACCC. Reporting to the ACCC means they can advise the community about new or unheard of scams.